Hello! Thanks for stopping by my blog today. 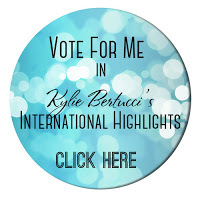 We are being highlighted by the wonderful Kylie Bertucci, and you can VOTE for my project. The top ten winners will get to be part of an international blog hop in December, so please do go vote for me. 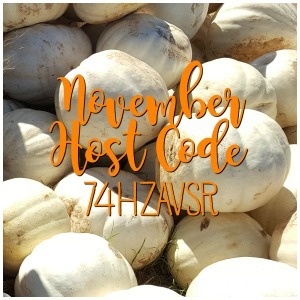 I’d love to be in this blog hop again! The theme for this month’s blog highlight is LOVE, a very broad category. I hadn’t inked up the You Move Me stamps much, so I pulled them out, just because I love this sentiment. I have also rediscovered my love for Island Indigo, so I just had to use it. 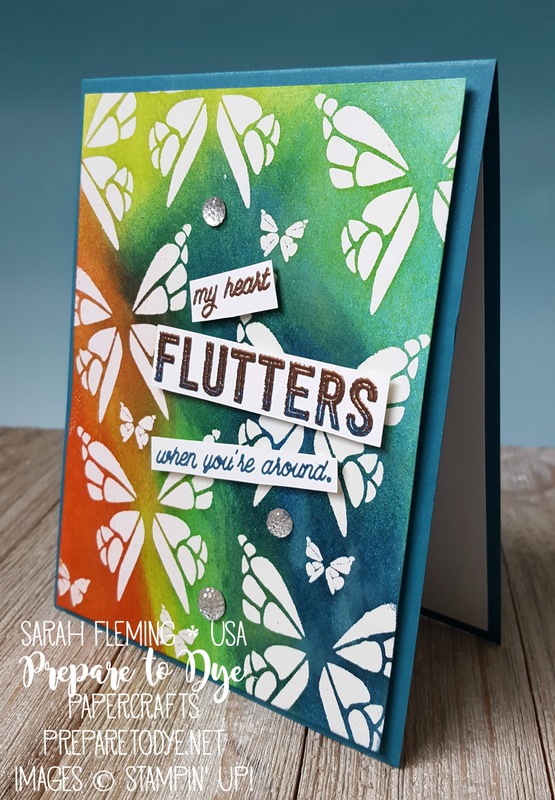 I started with Whisper White cardstock and stamped the inner butterfly images from the stamp set. I wanted to see what these would look like if I just stamped the negatives. So cool, right? 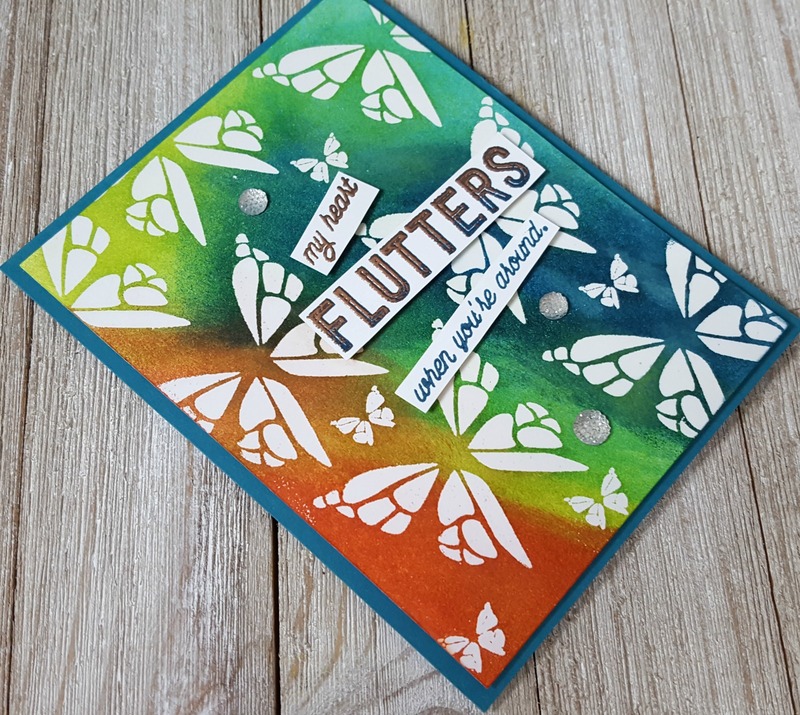 I heat embossed them with Clear embossing powder, then used my Sponge Brayer to sponge on Island Indigo, Tempting Turquoise, Lemon-Lime Twist, and Tangerine Tango. I ended up loving this color combo! I wiped off the ink that accumulated on the embossing with a dry baby wipe. I embossed “my heart” with Copper embossing powder, because I love Copper with Island Indigo. Then I stamped “FLUTTERS” first in Island Indigo, and then stamped on top of that with Versamark. Then I sprinkled Copper embossing powder on some of the image but not all of it, because I wanted the bottom part to be Island Indigo, so I would have a progression of Copper to Island Indigo. I stamped the bottom part of the sentiment in Island Indigo. 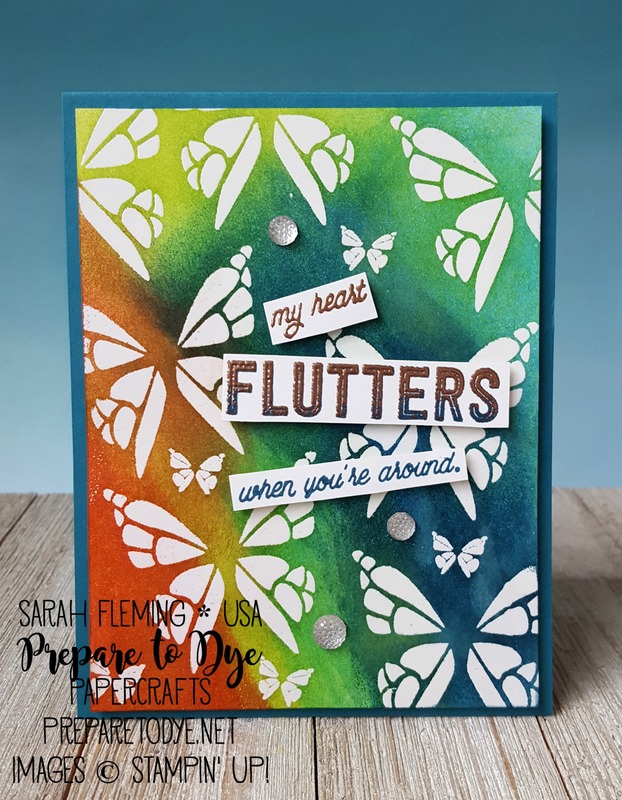 I put the sentiment pieces up on Dimensionals, then finished off the card with Clear Faceted Gems. Thanks for visiting my blog today; I hope you like my card! Make sure you head over to Kylie’s blog to vote for my projects and check out the other amazing projects in the gallery. I would love to be chosen to do the next international blog hop!